The Legion Athletic Camp was established in 1962 by the Royal Canadian Legion. Part of the Legion's mandate is to develop positive youth leadership. Originally a Track Camp, the Legion Athletic Camp has expanded over time to include many different sports. Each camp focuses on the skills and positive attitude required to be successful not only in that sport but in life. Current camps include: Track & Field, Advanced Track, Gymnastics, Basketball, Volleyball, Judo and Multisport (an new introductory camp that introduces athletes to a wide variety of sports). When Canada's track and field fortunes were failing on the international stage in the late 1950s and early 1960s, the Royal Canadian Legion decided to do something about it. So they hired British National Coach, Geoff Dyson to kick-start a national track and field program. Dyson was a dynamic man and fired the imaginations of coaches at his clinics. But he couldn't have anticipated what would happen when he met a couple of Winnipeg high school physical education teachers and track coaches -- George Phillips and Fred Taylor. 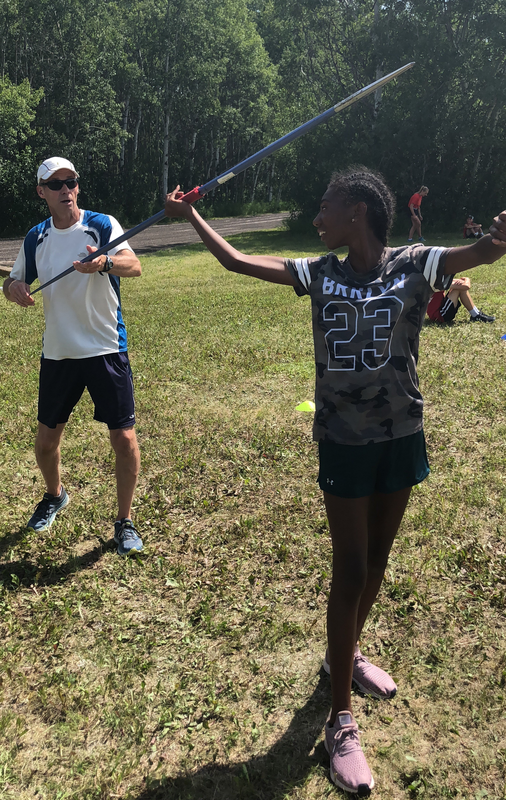 With the sponsorship of the Royal Canadian Legion Sports Foundation, the two were the cornerstones for traveling track and field clinics in the province. Although their clinics met with success, they felt their mission could be better served if they established permanent centre to train young athletes. They wanted to get away from the cities and find a place where athletes could be trained with a minimum of outside distractions. Their search took them to the International Peace Garden where the International Music Camp was already running a successful performing arts camp for high-school aged students in the early part of the summer. The setting was perfect. The gently undulating terrain and wooded areas was perfect for training purposes. Once the music camp students vacated the dormitories at the Peace Garden, the newly-founded Legion Athletic Camp took over the facilities. The camp was born in 1962 and the first year, 80 boys attended during the first week and 80 girls the second week. There was a staff of four coaches. The camp was an instant hit and the following year, the numbers almost doubled. It wasn't long before Phillips and Taylor started to see the possibility of a multi-disciplinary camp and utilizing some of the natural assets of the beautiful International Peace Garden. About the same time, it became evident that if the camp was to grow, it needed its own facilities. As the search for a site began, Phillips was out exploring the woods and stumbled across an overgrown depression in the ground. He could hardly contain his excitement when his suspicions were confirmed that this was once the site of a 400-metre track. It was constructed for the popular annual Highland Games, which were held at the IPG in the 1930s. When the Second World War broke out, the games were cancelled, as all able-bodied men were involved in the military effort. When the war ended, life had changed and the returning men were busy with families and building a country. So the track was soon forgotten and was overgrown. It was quickly cleared and resurfaced with cinders. It was soon determined that the site for the new multi-purpose Legion Memorial Sports Complex would be constructed on a hillside overlooking the track. That opened the doors for more sports such as basketball and volleyball. Legionnaires were busy as they constructed a weight training room, two storage buildings, a huge barn and a dormitory. The only building not constructed by Legionnaires was the complex. Taylor left the program in the early 1980s to further his education career and Phillips continued to guide the camp as Camp Director until 2011. 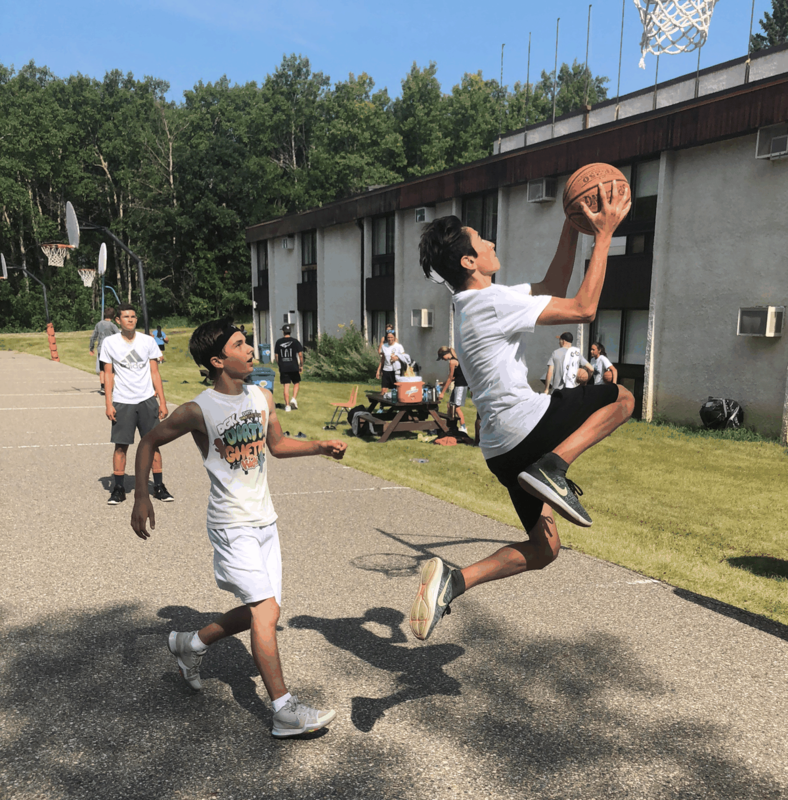 The camp is now home for 8 sports including a new Multi-Sport program where youngsters in Grades 4-9 can participate in a number of sporting and recreational activities for a week. Most athletes attending the camp are in Grades 7-12. Athletes as young as seven can enter the gymnastic program where the development of athletes in that sport begins at a tender age. Athletes as young as 10 may attend soccer and judo camps. 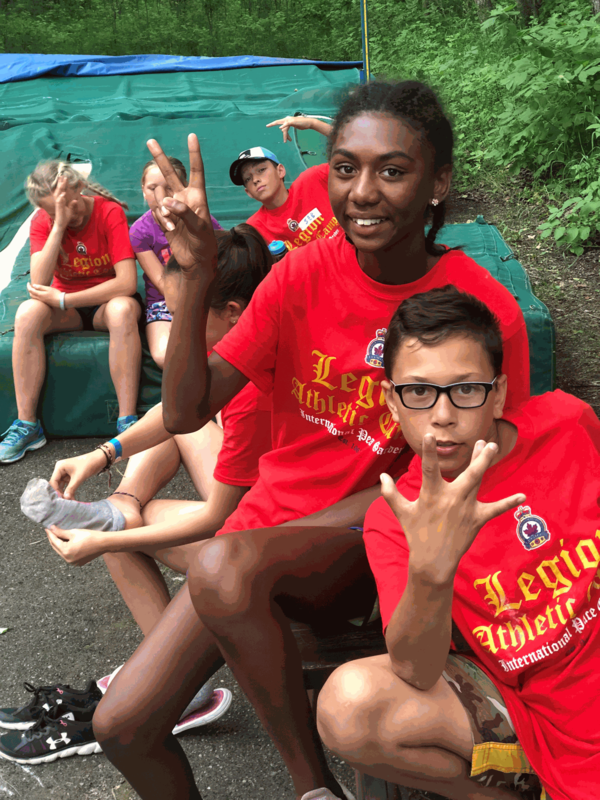 In 2010 more than 1,200 athletes attended the 48th annual camp over a six-week period with the sports of basketball, elementary camp, equestrian, gymnastics, judo, sailing, soccer, track and field, volleyball and wilderness. 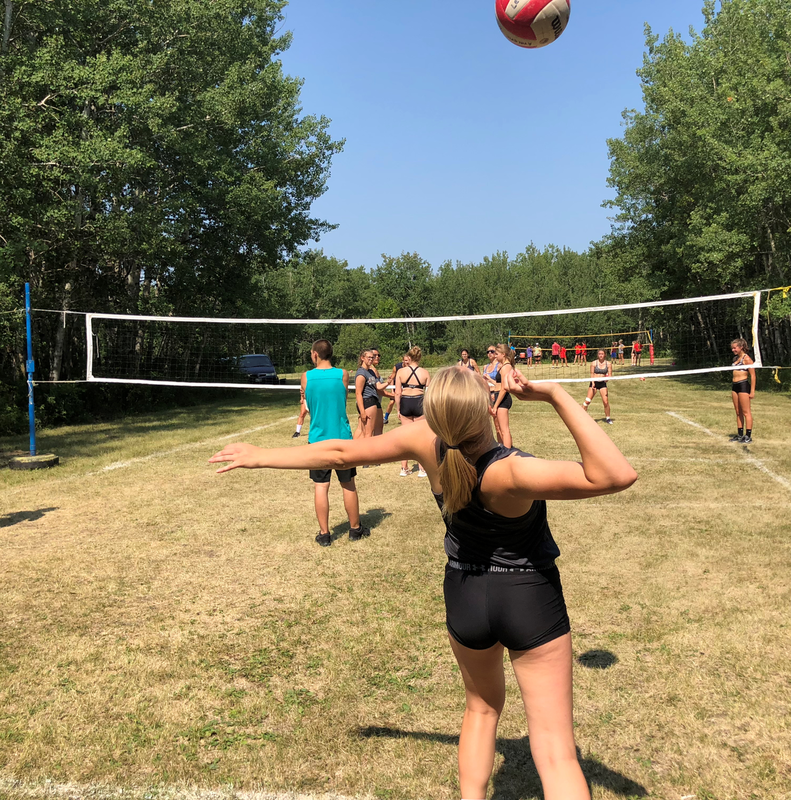 This year the Camp has two new co-sponsors, the Rotary Club's HIP (Honouring Indigenous Peoples Program) and the Manitoba Aboriginal Sports and Recreation Council. This will allow the Camp to reintroduce 3 old programs: Wrestling, Soccer and Archery, to join the returning programs: Track & Field, Advanced Track, Gymnastics, Judo, Multisport, Basketball and Volleyball. Since its birth in 1962, the camp has grown and developed into one of North America's top athletic camps for school-aged children and is operated by some of the finest coaches anywhere. Athletes 15-to-17 years-of-age specialize in events and receive advanced training led by international, national and provincial coaches. Our goal is to make sure each athlete gains added knowledge and skills in their area of specialization. In addition to daily training sessions, staff provides lectures, films and demonstrations on the latest training techniques. We also focus on other aspects of competition including nutrition, relaxation and discipline. We will offer rules and officials training as well as the event training. 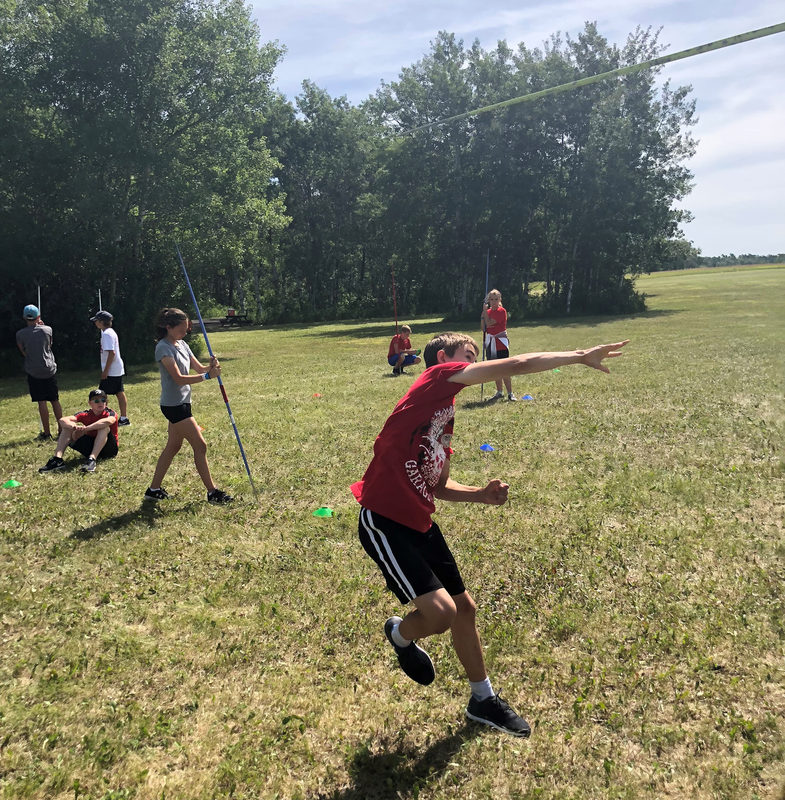 From The Basic and Advanced Track Camp at total of 36 Manitoba-Northwestern Ontario Command athletes will be selected to attend the 2019 Legion Youth National Championships to be held August 4-10 in Cape Breton island, NS. Travel expenses & accomodation paid from Winnipeg or Thunder Bay. b) 17 years and under, as of 31 December in the year of the championships. Boys and girls 10-15 years old will get the opportunity to learn track and field skills and modern training methods in all of the sport's exciting events. Young athletes will have the chance to learn a little about all events and later in the week focus on their favourite events. 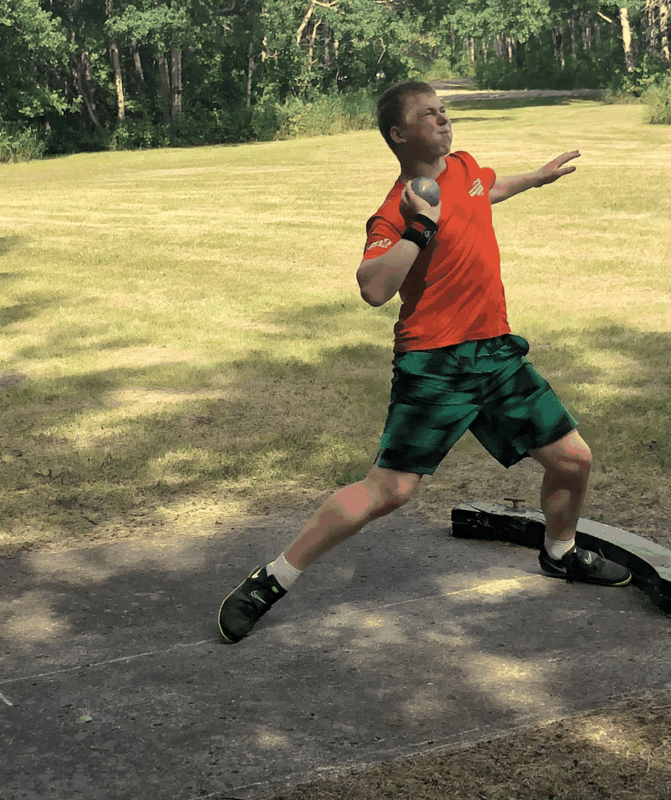 From The Basic and Advanced Track Camp at total of 36 Manitoba-Northwestern Ontario athletes will be selected to attend the 2019 Legion Youth National Championships to be held in August 4-10 in Cape Breton island, NS. Travel expenses & accomodation paid from Winnipeg or Thunder Bay. 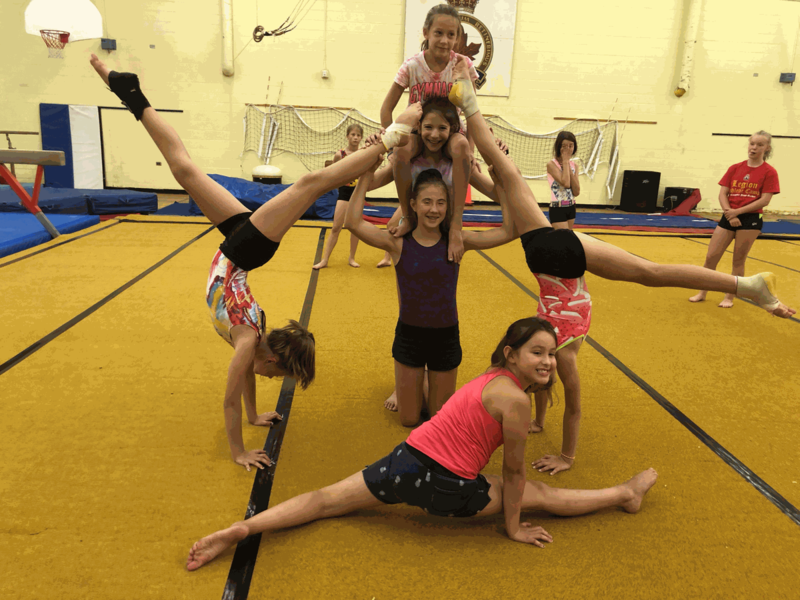 This camp , for ages 8-17, enhances agility, balance, timing and develops muscle tone. Girls perform on floor, vault, uneven bars, and balance beam. Boys perform on floor, pommel horse, rings, vault, parallel bars, and horizontal bar. Trampoline and mini trampoline are also provided, as well as dance and conditioning. Basic skills, elements of form, conditioning, and flexibility will also be taught. You are trained at your specific skill level, be it beginner or advanced. Parents are invited to the "Grand Performance" on Saturday morning. Along with the main university size indoor court, the Legion Athletic Camp features three full outdoor basketball courts and a total of 14 outdoor hoops. This camp is designed for athletes ages 12-17, who are normally grouped according to age and skill level. Exceptions are made for younger exceptional/dedicated athletes. Consist of stretching and ball-handling, followed by rotations through fundamental, small group and team stations. Each station builds sequentially on previous rotations. Athletes will develop all of their basketball fundamentals: shooting, passing, dribbling, rebounding and defense. Athletes will also learn proper screening, cutting, spacing, reading defenses and offensive moves. These include various types of basketball competitions and movies and social events with other camps. The week ends with a 4 on 4 tournament and camp awards. Some of the best teaching coaches around can help you to understand this sport and reach the next level as a player. The 2019 Legion Judo Camp sponsored by Judo Manitoba will feature current successful strategies in international tournament competition and judo fundamentals at the International Peace Gardens Sport’s facilities. Head coach Gary Sova (6th degree black belt) is excited to announce that this year our coaching staff will again feature many other top coaches such as Kevin McIver, Aaron Pfeffer, Cole Hunt, Airton Nakamura, Jeff Oduca, Patrick Tremblay-Sabourin, Bryant Huynh, and May Baldo-Oduca. Experienced coaches will teach athletes and coaches to develop top skills in gripping, dynamic throwing techniques, fundamentals, drills, counter throws, armlocks, changing directions, action/reaction, transitioning into various techniques, strangulations, pinning manoeuvers, mental preparation, and training techniques. Many past athletes who have participated in the Legion judo camp have risen to provincial, Canada Winter Games, and national team status in judo. This year's Legion Judo Camp will have a developmental and training camp focus for athletes 10 to 17. Coaches or parents of interested judo athletes who are between the ages of 10 -18 years of age can contact their local Royal Canadian Legions for possible financial support. Interested athletes, parents, or coaches can also apply to local Royal Canadian Legions and their schools for possible financial assistance to attend this year’s camp. I have registration brochures for any interested athletes. Legion Camp Brochures are also available through Gary Sova. Any questions about this Judo Camp can be directed to either Head Coach Gary Sova 204-479-8571. Variety is the name of the game in this camp! Aimed at youth ages 9-14, the Legion Multisport Camp is exactly how it sounds. Campers will spend their week participating in a diverse range of sports and games. The activities are organized to help youth improve their strength, endurance, and sport specific skills. No experience is necessary, but campers should come prepared to be highly active every single day. There will never be the opportunity for boredom because campers will experience new activities and games every day. 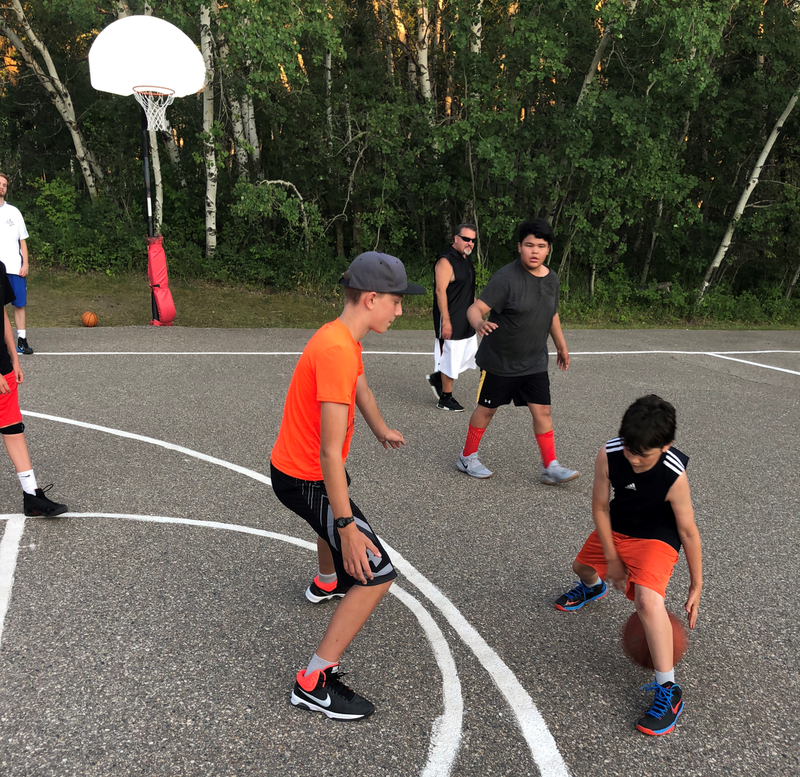 Basketball, volleyball, soccer, wilderness, track and field, and water sports are just some of the sports jam-packed into this high-energy week of fun at the Legion Athletic Camp. If you are someone who loves all sports and can’t survive the summer without gym class, then this is the camp for you! ***The day trip to the lake would be chosen closer to camp in order to chose the hottest forecasted day of the week. Legion Athletic Camp has 11 sessions listed on ChatterBlock, visit their website for additional information.